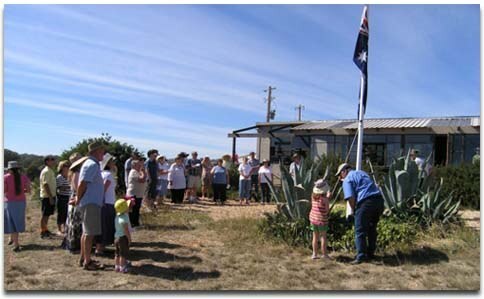 The Carwoola Community Association is a group of residents who aim to represent the common interests of the neighbouring community of Carwoola, and to develop and maintain a community spirit amongst residents of the area. The Carwoola Community Association meets on the third Tuesday of each month, from 7.30 pm, in the Stoney Creek Community Hall, located in Gathering Place, Carwoola. Click here for a mud map of the Carwoola area. The Stoney Creek Gazette is the monthly publication of the Carwoola Community Association and is distributed free by volunteers to 535 local households. To place advertisements or community notices, or to sell goods in the Free Classifieds section of the Stoney Creek Gazette, please contact the Editor. Gathering Place (off Douglas Close after turning from Captains Flat Road), Carwoola.